Colostrum is the pre-milk fluid of mammals that is produced during the first 24-48 hours after child birth. 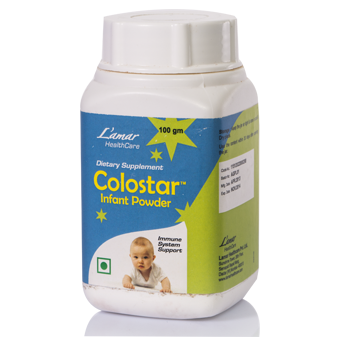 COLOSTAR infant powder is produced from colostrum and it has full life supporting proteins. Every 3 grams of Colostar Infant Powder gives 700 mg of Bovine Colostrum and 30 percent lgG. COLOSTAR infant powder is a dietary supplement for infants that helps to support immunity, growth, and development in your baby. You should use it as directed by your health care professional and store in a cool and dry place.